The window treatments are a hugely important part of your home: they provide you with privacy, comfort, insulation, and light control. Adding new window treatments to your home is one of the most effective and cost-efficient ways to improve the appearance and the comfort of your home, and shutters are always an excellent option. 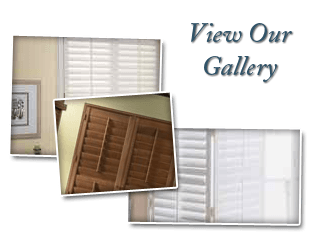 Our selection of window shutters in Riverside, CA will add a sophisticated, classic, and distinctive look to your home, and they can also provide you with a number of more pragmatic benefits. The functionality and design of window shutters makes them an excellent match for almost any room. 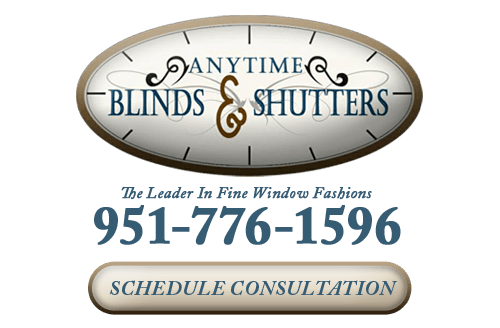 At Anytime Blinds and Shutters, our Riverside shutter company can help you decide on the perfect shutters for your home during a free in-home consultation, and after you've made the decision, we also offer free measurement and shutter installation services. Choosing which shutters are right for you is something that only you can do, and no matter what choice you make, you can depend on shutters to lend your home’s design a classic and timeless feel. Our specialists can give you their professional opinions and advice, and we’ll help go through our wide selection of different shutters. From classic plantation shutters to more modern wood shutters, you'll find many options in our selection. But ultimately, the choice comes down to your personal tastes and design style. No matter what shutters you choose for you Riverside home, we'll guarantee your complete satisfaction with all of the products and work that we provide. Interior shutters can complement either a classic or modern interior design style. 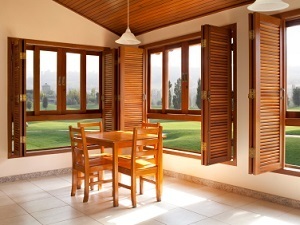 Shutters can be made from wood, faux wood, polycore, or a number of other materials. No matter which material they’re made from, you can count on enjoying the timeless, classic style for years. Interior shutters will give you a great amount of control over the amount of light that’s let into a room, and they can help with your Riverside home’s energy efficiency. No matter what room they’re in (a dining room, home office, bed room, or den), interior shutters will enhance your home’s appearance and offer you a strong functionality. Traditional shutters, which are also called Colonial shutters, originated in the New England states and were originally used primarily for insulation. Today, traditional shutters are mainly used for decorative purposes, and they're a great way to make your Riverside home appear more rural or classical. When they're open, traditional shutters are great pieces of decor, and when they're closed, they’ll help protect your windows from strong wind gusts or flying debris, and they can help shed water from your home. If you are interseted in learning more about this type of shutter or our other window coverings in Riverside, CA, please give us a call today. If you are interested in an estimate for shutters in Riverside, CA or the surrounding areas, please call 951-776-1596 or complete our online request form.